For some riding a bike is easy while for others it seems to be a very difficult task that they have to learn at any cost mostly because- the vast majority already know how to ride bikes and no one wants to be left out. But how easy is it for two yes you read right two neurons comprising a neural network to ride a bike? Two neurons or two nodes forming a digital neural network to be accurate has learnt to ride a bike and that with no external information or programming to guide it. Researchers that study thinking have used neural networks to simulate models of how a person actually thinks- how thinking works, how it is made and how it responds to the external world. Neural networks are clusters of neurons that pass on information to one and another by simply strengthening and weakening the connections between them. Don’t be alarmed, these are not actual neurons but simulated nodes or model neurons on a neural network in a computer and not a body. In a huge step towards artificial intelligence, neural networks can understand a problem and even respond to it without any prior programming about how to solve a certain issue. Researchers have now used neural networks to learn to ride a bike in a simulated setting on a computer without any before- hand programming to do so. They have found that a neural network comprising of only two model neurons has proved to be successful in riding a bike. At the testing stage researchers used an algorithm or program, a human and of course the two neuron neural network to learn to pilot the bike giving all the same rules or instructions- controlling the speed of the bike, it’s leaning to one side or the other, the angle of the handlebars and so forth. 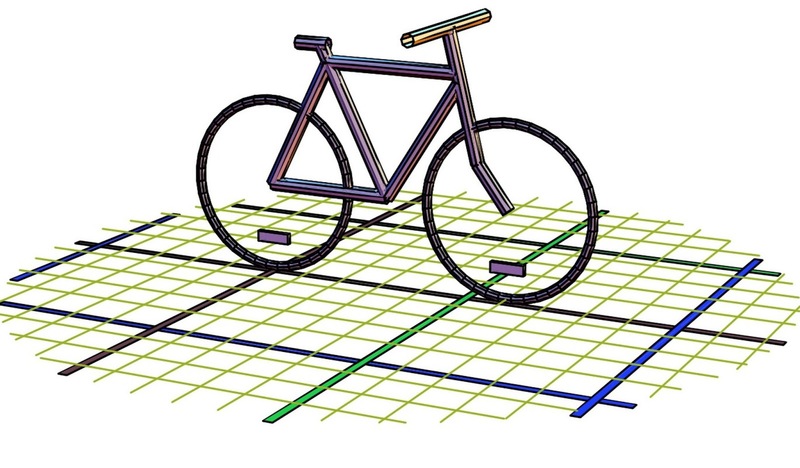 The researcher first tested the algorithm in riding a bike using “what if” programming- what move will keep the bike straight, what move will increase the speed of the bike? But the algorithm was found to be unsuccessful in learning to ride a bike , it could not do two things at once and tried weird means to reach various goals such as increasing speed it would swoop from side to side to do so. As a conclusion, researchers have found that an algorithm would not have the ability to predict future outcomes as compared to neural networks and therefore would be unsuccessful in solving a particular problem. The second round of testing involved humans where a human had to learn to ride a bike using only the keyboard. After a few tries, humans were also found to be able to ride a simulated bike. After the human round of testing, it was time for the neural network. Based on experiences and information given by the people who tried the simulated bike, researchers built a neural network. The neural network assessed the environment the bike was in and how to maneuver in that environment- in which direction should the bike lean and how fast should its speed be. At the end of testing the neural network was found to be successful in learning to ride a bike. In the neural network, the two neurons comprising the neural network passed on information to one another while one assessed the environment and passed on information to the other, the other neuron in the neural network actually controlled the bike.